Then I had only to wait for it to dry. I bought some nice, sturdy push pins, but when it came time to block, I couldn’t find them, so I used regular round-headed pins instead. The next day, I found the push pins. 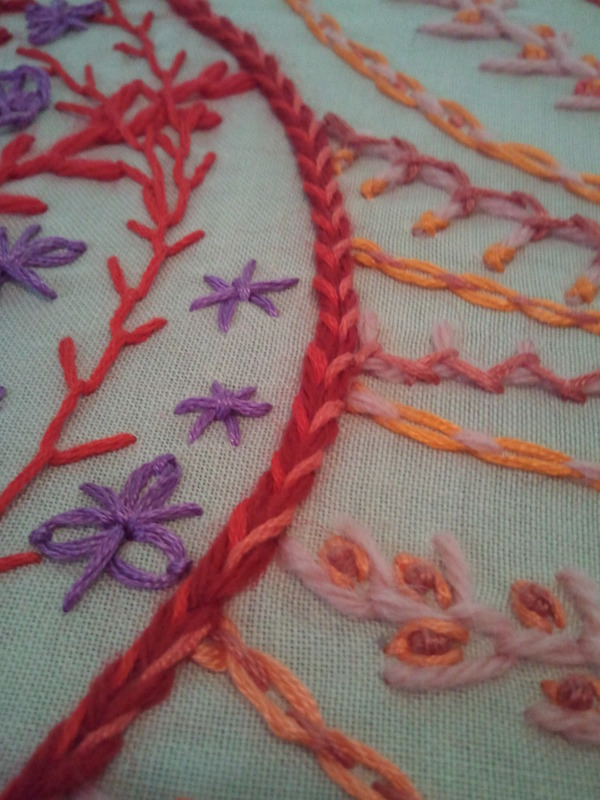 I whipped a lot of chain stitch over the course of this project. It was fun! Now I have only (ha!) to sew the front to the back and stuff it with the pillow form. I confess that the blocked piece has been sitting neglected with the back on the sofa for a couple of weeks now while I started another project. It’s been fun to focus on something small (using one and two strands of cotton floss) after working on a bigger scale with this. 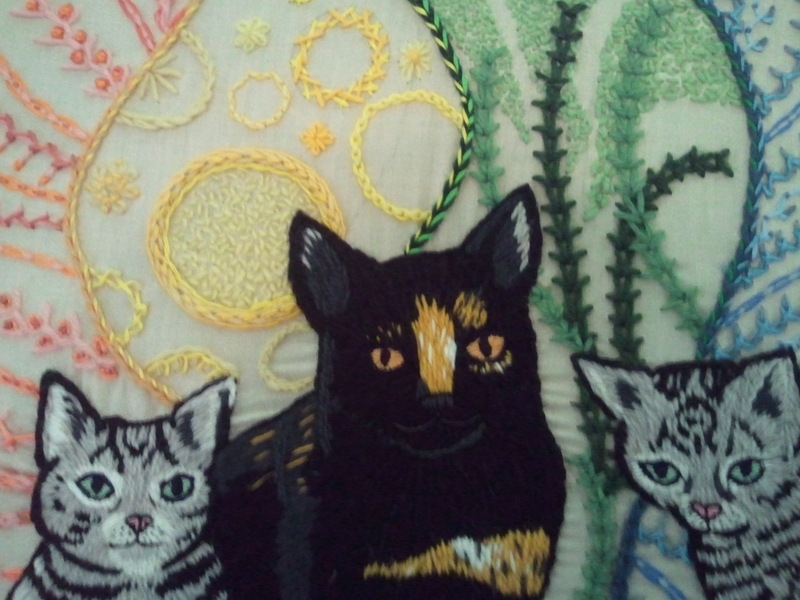 This entry was posted in Uncategorized and tagged almost finished projects, cats, embroidery, extreme stitch close up, surface embroidery, wool by Rene. Bookmark the permalink. Thank you! I’m almost ready to give it to my mother– perhaps as a second (year later) Christmas present. I cannot get over how gorgeous that is! Absolutely beautiful. Never occurred to me to wet block, that would be very helpful. Something to do in future. Thanks, Caine. I got the wet-block impulse from my knitting background, but I think it’s helpful in a lot of situations. 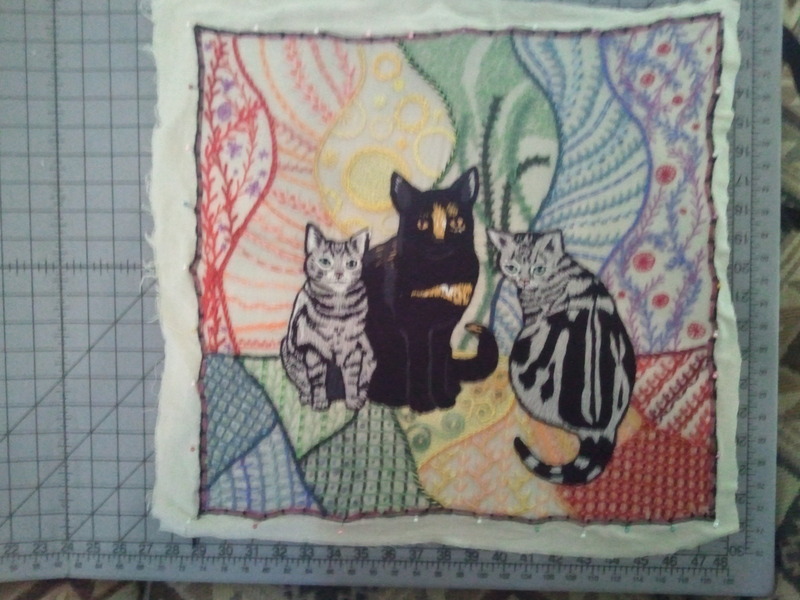 Particularly (as in this piece) when a second layer might have been helpful as a stabilizer. I don’t knit, never could get the hang of it, but the value of wet blocking is obvious. Another ‘duh’ moment for me. 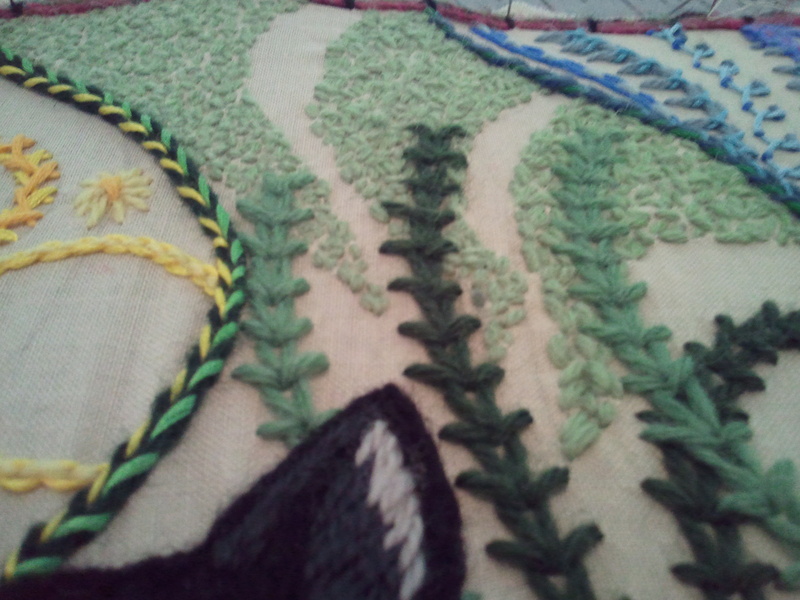 A while back, when I was making a series of embroidered pillows for friends, that could have saved me much grief. At least I know now, which is good, being that I’m working on another pillow, and the hoop I’m using won’t deal with more than one thin layer of stabilizer. The most amazing transformation happens when you block knitted lace. It totally changes it. In retrospect, I probably should have used another layer to stabilize this, but oh well. Hindsight and all that. This didn’t get ALL the wibbles out, but it certainly helped. What a fun piece!! 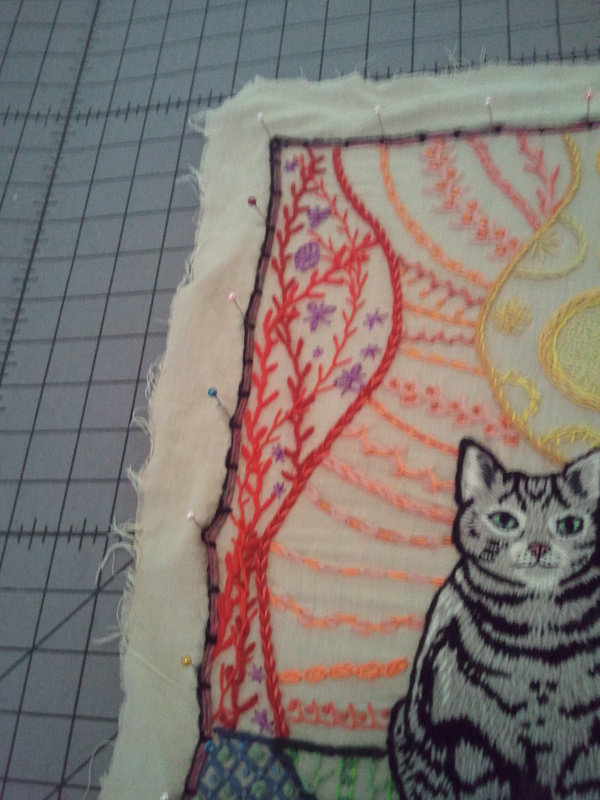 Love all the stitches!